If you've been thinking about purchasing an emergency generator, don't wait until after the lights have gone out. Start your research now. We used to think of late summer and early fall as the storm season, but with all the unpredictable weather lately, it’s best to be prepared year ’round. 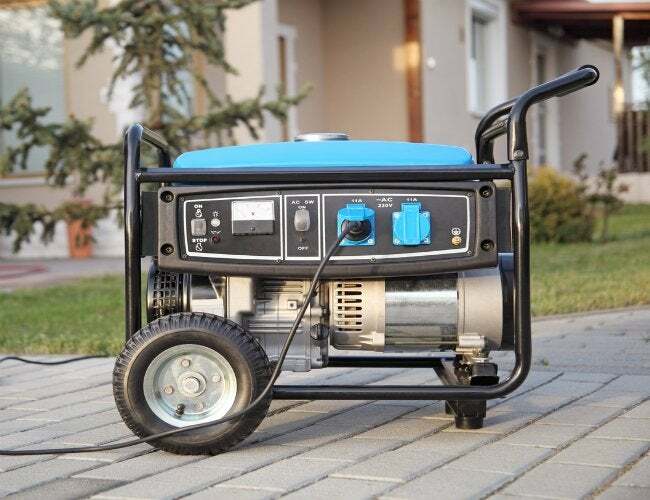 For many people, part of being ready for anything is to own a generator. Most portable generators crank out somewhere between 3,000 and 10,000 watts. That’ll probably be enough to run most of your lights and plug-in appliances, but only the large portables can feed power-eaters like central air or electric ranges. Portables are relatively inexpensive, though, and they’re a good bargain if you just want to power the essentials. Stationary generators, on the other hand, are permanently installed outside the house and run on propane or natural gas. The largest standby generators put out 15,000 watts or more and can virtually power your whole house. That power doesn’t come cheap, though. Expect to pay $5,000 to $10,000 plus installation.